This company in Macedonia is in fact a huge conglomerate. They cover from a supermarket chain to contraction, printing, agro business to the production (of course!) of chewing gum. 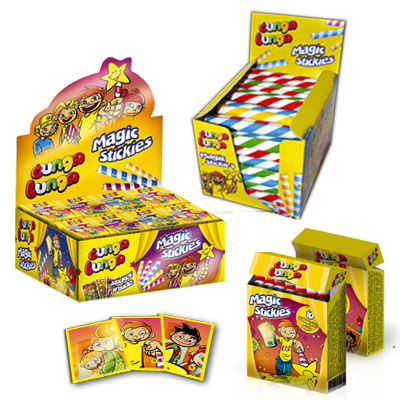 The chewing gum goes under the brand CUNGA LUNGA and they cover a wide range of presentations: from the more common cut & wrap (with different flavors) to the more unusual gum with cigarette shape. 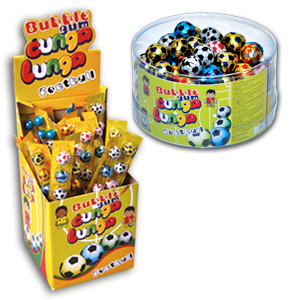 Another interesting product are the gum balls wrapped with paper resembling a football. I attach pictures below, which I took from the website www.makpromet.com.mk where you will find the full product range and more information. 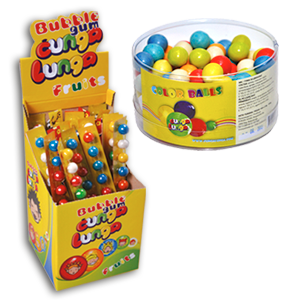 Some balls are presented in a blister pack, which is also interesting from then point of view of packaging style. also quite unusual is a cut & wrap which is 8 cm long and presented in individual flow pack. I thank Ms Marija Cuckovsca for her time and explanations.